Get your resume noticed today. 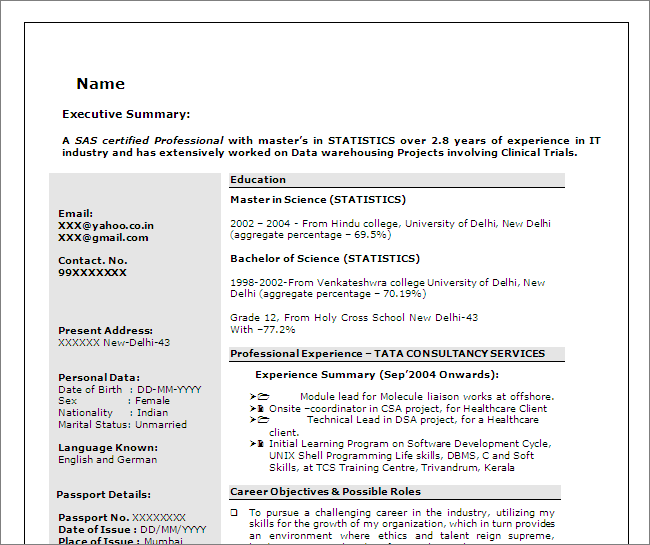 The following resume templates would help you to create a professional level resume. 8 Responses to "SAS Programmer / Developer - Free Resume Template"
Never have your Date of Birth, and Passport details on a resume. You would inviting a credit fraud . I am also looking out for a job opportunity in Data Science with SAS with no related experience. 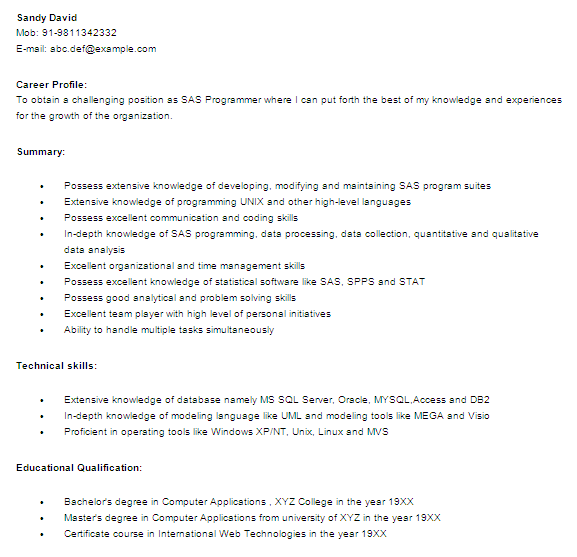 Request you to please share a sample SAS resume for lateral entrants in this field. Wow! Thank you! You helped me without realizing that you help me! but now I have amazing example, and next step to write info! 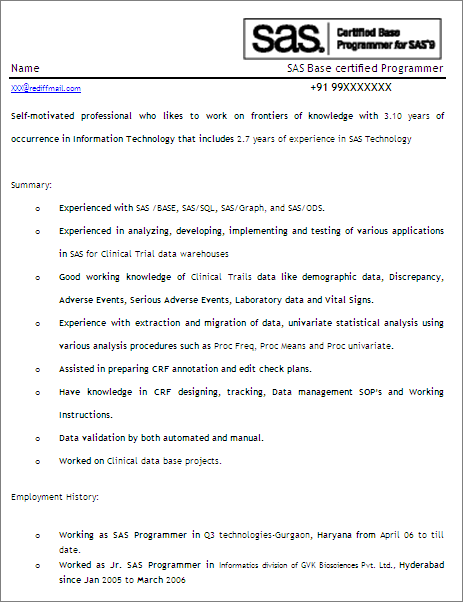 I wish to have perfect CV with cover letter https://craftresumes.com/nurse-resume/,I 'm perfectionist. That's why people you need to foolow the link above and you will have it.